Hello. My name is Andy Voke and I am the HLF Collections Management Trainee at Attingham Park near Shrewsbury where I have been based since June 2011. Since the beginning of my placement at Attingham I have found the work to be extremely different to anything I have done before. Everyday is really exciting and enjoyable and I and I have the opportunity to work with a diverse group of people, ranging from specialist experts such as curators and conservators, to amazing volunteers who undertake such valuable work for the National Trust. The focus of my work has been to check and update information for inclusion on the National Trust’s new historic collections website (www.nationaltrustcollections.org.uk) which was launched in December 2011. This website contains details of the collection items held by the National Trust at all of the properties that it owns and manages and I am responsible for ensuring that the information it contains for Attingham Park is as accurate and up to date as possible. Some of the exciting work I do a daily basis includes: checking legal details on the ownership of items, taking digital images of items and uploading them to the website, providing details on collection highlights at the property and editing records to ensure that descriptions, creation dates etc are correct. When not working on the collections website I have been involved in cleaning and conservation work around the property. Between June and October I have been actively involved in important conservation monitoring and cleaning of the property for its daily opening to the public, but over the winter I have assisted with the deep winter cleaning of rooms and objects. This involves the movement of items that are on display during the open season into storage for the winter period e.g. taking down the silk curtains in the Sultana Room which are finally being moved into storage due to their delicate condition after hanging in the room for over 100 years. You can watch this event at www.youtube.com/watch?v=KOoesYpHyIE. I am also undertaking a project during my 12 months at Attingham to start cataloguing thousands of historic photographs of the property and some of its inhabitants. This work has given me a fascinating insight into the lives and activities of the various owners of Attingham over the period 1850 – 1970, with the photographs including both formal and informal activities and occasions. I am hoping that prior to the end of my placement in June this year, I will be able to exhibit some of these photos for the public to enjoy and gain a greater understanding of another element of the work carried out by The National Trust. The first few weeks of the traineeship have passed very quickly and it has been exciting to be involved in a real variety of different work, all of which is completely different to anything I have experienced previously. 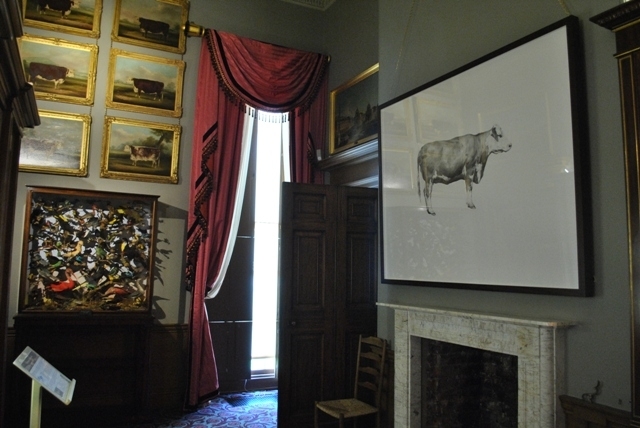 In my first week, the Housekeeping team at Attingham were extremely busy preparing for the opening of an exhibition of contemporary art pieces called ‘The House of Beasts’. 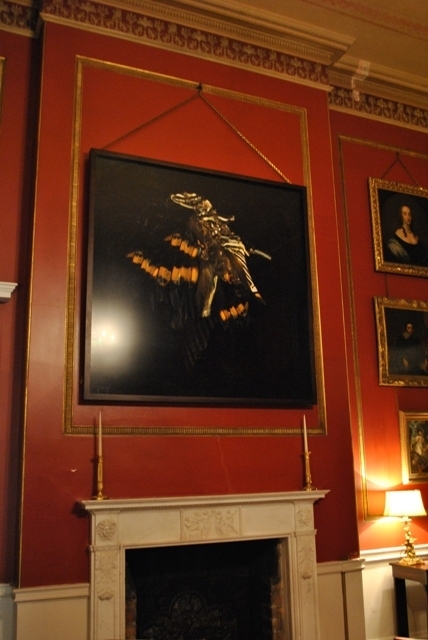 This features around 40 works located around the house and grounds at Attingham, all of which are animal based or themed and which will remain at the property until July 2012. I assisted the Housekeeping team in installing a number of the exhibits which provided me with immediate experience of key health and safety issues and safe manual handling skills. Fortunately we got all the exhibits into position without too many problems or accidents!! During my second week we had two training days in Swindon, which amongst other things allowed me to meet the 9 other trainees and learn a little about both them and their properties . The training sessions included an ‘Introduction to Housekeeping and Care of Collections’ plus an ‘Introduction to The Collections Management System’ both of which were well presented and informative. We also managed to fit in a flying visit to Heelis and all got to know each other a little better in the informal surroundings of the hotel bar over a few drinks and an evening meal. On returning to Attingham I have already been able to put my CMS training to good use by assisting with updating the system to take account of collection pieces that have been moved to allow for “House of Beasts” exhibits to be shown. A number of collection pieces have also been moved into temporary storage as part of preparations for the Attingham Summer School event which will take place next week. I’ve really enjoyed my first weeks at the National Trust and it has been invigorating to do something different after the 20 years in my previous career. Everyone I have met has been really friendly and helpful and I am convinced that this will be an extremely beneficial 12 months for me. I’m sure the other trainees feel the same way. And you can see Andy in action in the film below as our Sultana Room’s two hundred year old silk damask curtains are taken down.